The problem is that 35 years ago we only had a choice of about 5 different plastic kayaks. by plastic we are referring to polyethylene rather than glassfibre (GRP) kayaks. So in those days most kayaks were what we called general purpose, an example of this would be the Perception Dancer. 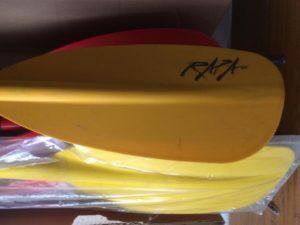 One of the first poly kayaks to arrive from America, it was designed to fit 7-12 stone paddlers, remember the average bloke was 10.5 stone then,the cockpit size was small deck, and in early days you paid for colour as an optional extra. The cheapest was natural, a semi transparent colour popular in lunch boxes. Then they realised that one boat doesn’t fit all so they did a smaller Dancer XS and a larger Dancer XT. At this time designs were also limited by the moulding technology so boats had very rounded shapes to make them easier to mould, and the length was a hangover from Olympic requirements with no basis in fact. So we used these kayaks for everything because it was all we had. The manufacturers then realised they could do better on the design front and actually design for use, not for the machine. So along came the Perception Corsica, a shorter more rounded shape with more volume in the ends so it ran whitewater better, then the Pirouette a flatter shape which surfed better , but the trend was to get smaller and shorter, so we had Whip-it, Whiplash. Then it was starting to become obvious that people were getting larger,with bigger feet so without increasing length there was a need to improve volume, so Sonic , Supersonic. At same time it was also clear that one boat no longer did all, so you had more specific models appearing for playboating like Mr Clean, or creeking like Java, and touring Sea Lion . At the same time you have more brands appearing like Dagger and offering the same range of kayak models. So there are now too many models for any one shop to stock, some of these designs are so niche that they only sell in a particular area. So shop owners have to pick and choose what they feel will sell, often the trade margins between brands are very similar, however delivery costs are a major factor in choice of brand, so shops tend to buy from closest supplier, or a supplier who somehow makes it easier to stock their brand by offering regular delivery runs. Most shops give their suppliers advance orders for the following year, this occurs in September/October as there is a large trade show in Germany which powers this trend. 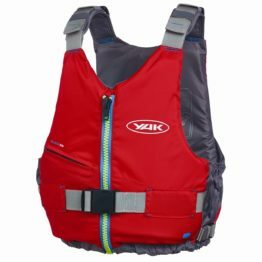 This allows companies like Gaybo who make Wave Sport and Perception in UK , to go, well we have no orders for this model so we will only make a few in January and September when we are quiet as we are bound to get an order during year. Whereas this model is madly popular so we will make this one every week in order to keep up with demand. From a manufacturing point of view it is cheaper to make a batch of the same kayak and where possible in same colour for a continuous run. So the supplier may even go back to the shop and say you are the only person to order that boat in that colour, so we aren’t going to make it, or choose another colour. So what they show on the website doesn’t always exist. Now the shops having made some kind of commitment to a brand, will get some kind of flexibilty in their orders, what this means is that the factory will often allow the shop to change a colour and sometimes model with just a few weeks to go before they make it. So though shops often have to quote 6/8 weeks for a new order, because it goes to the back of the queue, sometimes the shop can be lucky and there is exactly the colour and model sitting at the factory due to a cancelled order, or the factory will swap out the order and make it in a couple of weeks. The problem is we never know until we make the phone call, and you can even get a different answer in the afternoon to the morning, because sometimes things move that fast.